Much like its predecessor, the arrival of GTA V on PC heralded not only a boost in graphics and replayability that remains unmatched by its console brethren, but also the limitless possibility for at-home developers to dive into the source code and see what kind of goodies they can dig up to make their next mod. 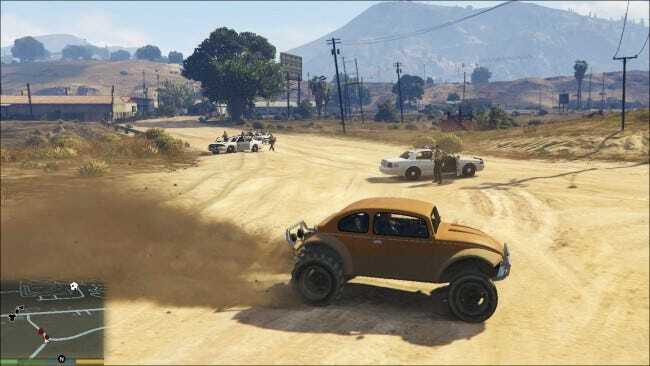 While some of the early tweaks don’t do much besides make the game more functional, others are about as much dragged out, downright fun that you could expect – just the way GTA likes it. Although it’s almost impossible to choose the best from the rest, this is our list of the top five GTA V mods you can use to spice up the world of Los Santos. Sometimes the question isn’t “why,” but “why not?” If you’ve ever sat down and thought to yourself, “What would it be like if I could shoot a ton of cars out of the front of this gun?” wonder no more, because the Car Cannon has it covered. The script was one of the first to burst out onto the GTA V mod scene, but still remains one of the best. It does exactly what the name implies, turning any semi or fully-automatic gun into an agent of pure chaos, firing off a stream of randomized vehicles into any direction your heart desires. Out of all the mods we have listed here, none come built-in with the amount of over-the-top ridiculousness that the Car Cannon mod readily provides. Anyone who installs this mod should be aware that until the developers have a chance get more of the core code worked out, the cars will only shoot on flatland, and in a straight line. Patch notes have hinted this could change very soon, however, so keep your eyes peeled for updates as they’re revealed over the next several months. Ask anyone who’s played the Just Cause series, and they’ll tell you the best thing about the game (and possibly any open-world title since), is the grappling hook. Packed with enough power to pull planes out of the sky and throw an M1-Abrams tank clear across the map, the grappling hook gives you the chance to string cars, pedestrians, and motorcycles together for the ultimate “Just Married” trail of cans to tow behind you while driving down the freeway. Not only that, but you can also turn Los Santos into your very own version of Spiderman’s New York with the push of a button. In minutes you can be zipping, sliding, and swinging from building to building, soaring in between skyscrapers and taking down bad guys by conking their heads together just like Peter Parker. The only drawback is that this a mod which is still barely crawling out of the early stages, meaning the aim is slightly wonky, and you’ll probably glitch into the ground a few times before you get into the “swing” of things. If there’s one thing that the GTA series has been able to pride itself on almost since the beginning, it’s the feeling of ultimate player freedom. If you want off-the-wall superpowers and a couple fighter jets to spawn out of nowhere, there’s plenty of mods available at your disposal… but it doesn’t always have to be a relentless flurry of madness and mayhem. While some people may just want to watch the world burn, others are more concerned with making the world of GTA V as realistic and true to life as possible. As such, through careful analysis and a lot more math than most of us could ever do on our own, a lone, dedicated modder has gone and replaced the physics of every car in the game from scratch, building them back up to directly mimic their real-world counterparts. 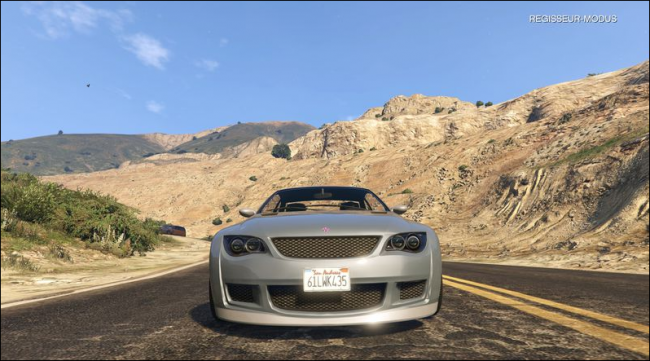 The Realistic Driving mod – developed by user Killertomate – gives GTA V a whole new layer of depth as all sedans, trucks, tanks, and dirtbikes operate just as they would if they were driving down your block. On the outset this sounds like it might be frustrating, but once you get behind the wheel you’ll realize it’s anything but. With actual physics keeping you tacked to the tarmac, every turn, burnout, and police chase feel just like the real thing, making Grand Theft Auto play less like Mario Kart, and more like Gran Turismo with each successful getaway. Like the iCEnhancer in GTA IV before it, the modding community has taken it upon themselves to beautify an already drop-dead gorgeous game in GTA V with the ClearHD graphical upgrade. Adding on frills like better blood splatter, a more defined color palette, and increased numbers of pedestrians with a greater density of cars on the road, ClearHD does a stellar job of bringing all the nuances of GTA V’s world to life (as long as you’ve got a PC that can handle it). It’s important to note that unlike iCEnhancer, for the time being ClearHD is just a rudimentary set of changes to the graphics that are already installed in the game. There are no new textures being added, no cars being remodeled, and no re-skins of the surrounding buildings just yet. But, like the mod that birthed it, it’s only a matter of time before the game starts to take on a whole new look and feel of its own thanks to the tireless work of the many hobbyist developers behind it. If you’ve finished playing through the central questline of GTA V and still find yourself yearning for extra areas to explore, then Open All Interiors has everything you could want in a mod and more. 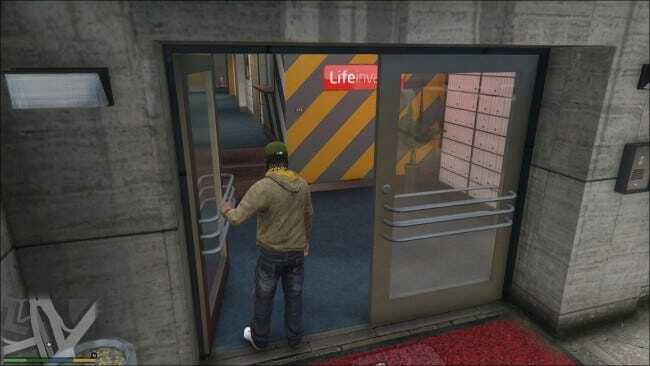 Thanks to a simple alteration in the backend code, now you’ll be able to roam the halls of every iconic landmark in the game, including ten floors of the FIB building, the underground vault in the Union Depository, and even the offices of the LifeInvader headquarters. All told the mod creaks open the doors on close to 40 different locations that you visited during the course of the main story, and lets you peek into areas that would otherwise be locked down once the game is over. Unfortunately, you won’t really find much going on inside while the missions are inactive, but even so we still can’t think of a reason to complain about having more content to absorb in a world that’s already jam-packed with a seemingly endless torrent of people to see, places to go, and old-school mobsters to whack. Of course, these five picks are just the tip of the iceberg in the pool of possibilities that GTA V on PC offers. Every day there are dozens of new skins, cars, guns, locations, gameplay tweaks and hacks being added to the game by a passionate community of programmers, and what we’ve seen so far will be peanuts compared to what’s waiting just over the horizon. You can get started with the mods listed here and hundreds more at GTA V Inside, and GTA V-Mods.com.